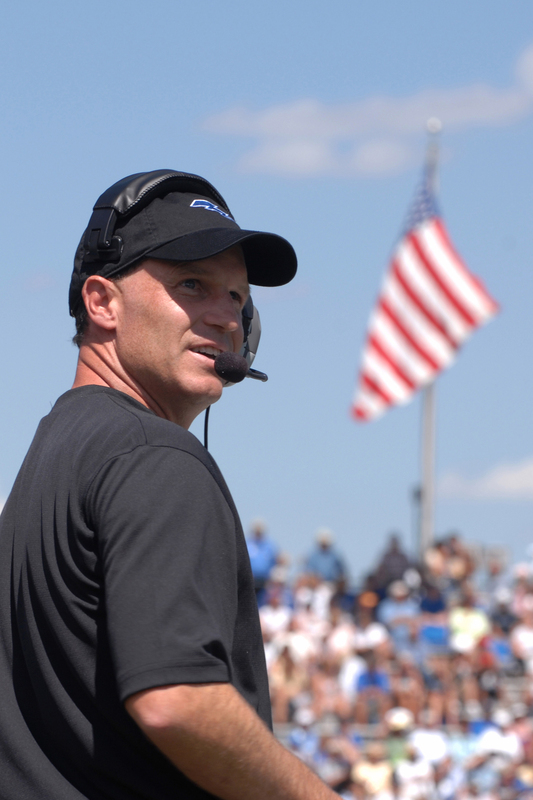 You are at:Home»Air Force»Falcons Coach Troy Calhoun: Tweet this! COLORADO SPRINGS, Colo. — Don’t expect Air Force football coach Troy Calhoun to be confined to 140 characters. He told the Colorado Springs Gazette that, unlike other Mountain West coaches, he will not start his own Twitter account, but he will not ban his players from starting their own. The Air Force football team has its own Twitter account, although @AFFalcons is leaving its 17 followers wanting more with only 19 tweets in the past year. Army football coach Rich Ellerson has his own Twitter account, but someone might want to tell him. @RichEllerson has 12 followers, even though he has yet to tweet once. We’re waiting, Rich. Navy quarterback Ricky Dobbs doesn’t have a handle, which is absurd considering @MagicMan4 is open. However, @DobbsForHeisman is “the resource for the Completely Unofficial Ricky Dobbs Heisman Campaign,” with 168 followers. Anyone have any suggestions for Calhoun’s handle if he ever caves? Leave suggestions in the comment section below.